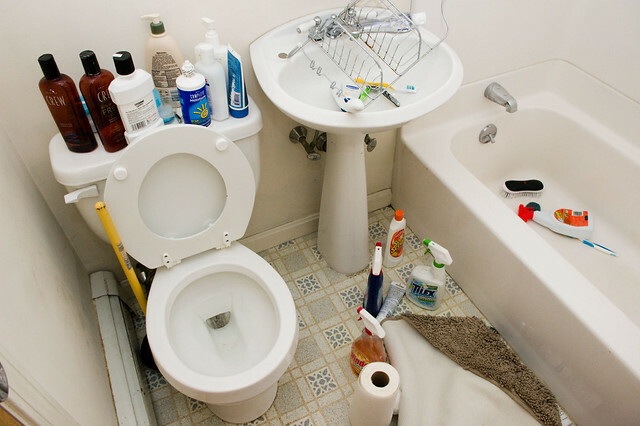 Check out the six remaining ways to unclog a toilet here. Read the full instructional guide here. One Good thing by Jillee meantime let out a plumber’s trick in dealing with a clogged toilet. If all else fails, the best thing to do is to call up a reliable plumber to take care of the situation. In fact if the clog happens all too often then it will be in the property owner’s best interest to have it checked ASAP. This is because persistently clogged toilets can signify a bigger plumbing problem such as a clogged sewer.